In April 2016, the National Park Service declared the childhood home of the Rev. 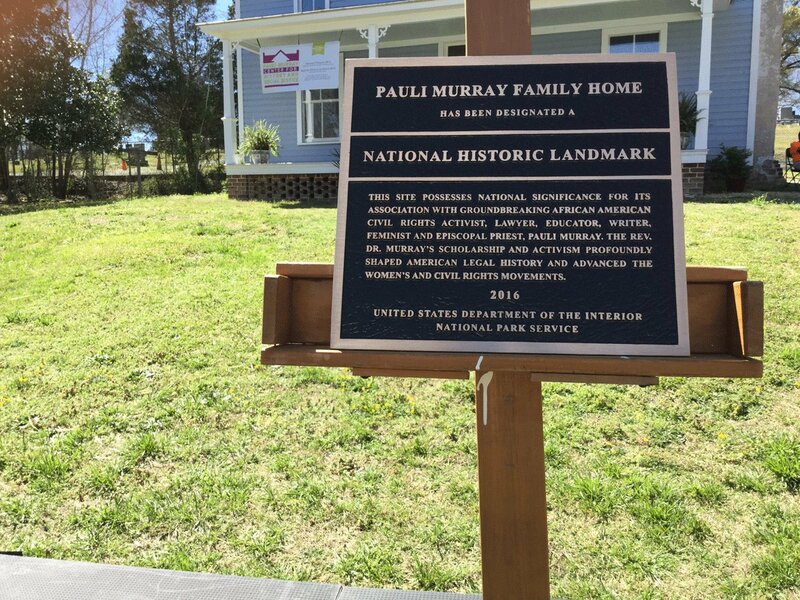 Dr. Pauli Murray in Durham, N.C. a National Historic Landmark. At that time, there was an exhibition inside the home, part of which was a wall containing the names of people, including Sonia's maiden name, found in one of Pauli's address books. Pauli was a friend and colleague of Sonia's at the EEOC (Equal Employment Opportunity Commission), where Pauli was a consultant in the Research Department. Pauli was an activist for the rights of women and African Americans, a lawyer, a poet, an author, and the first African American Episcopal woman priest. 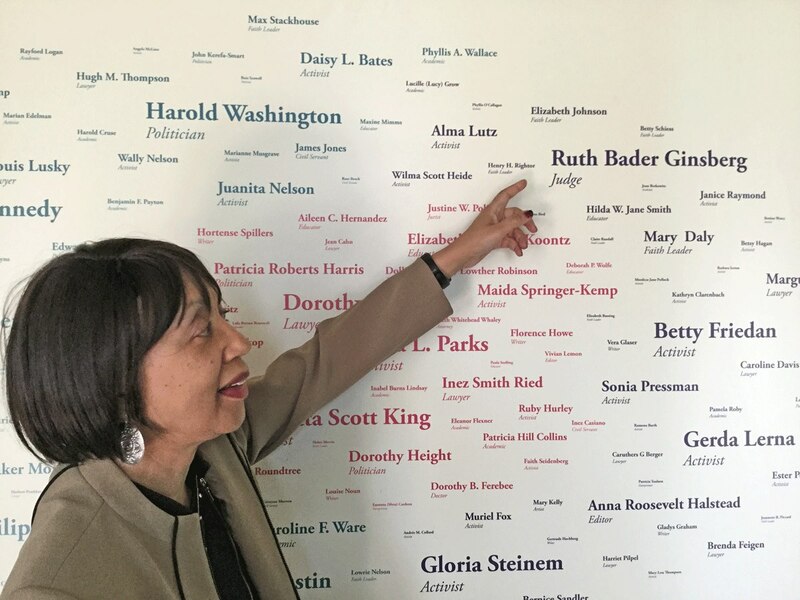 This is a picture of Patricia Bell-Scott pointing at Supreme Court Justice Ruth Bader Ginsburg's name on the wall. Several names below that is Betty Friedan's name and Sonia's maiden name, Sonia Pressman, is below that.